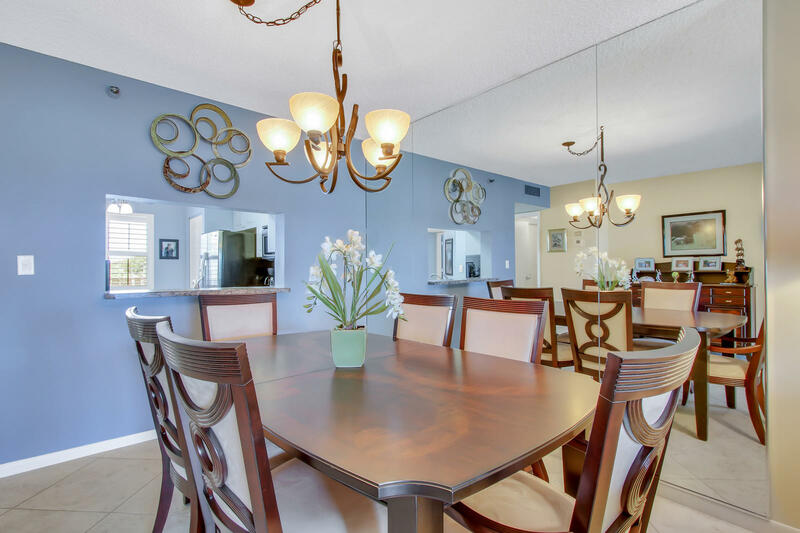 Welcome to this beautifully remodeled Lancaster Model condo. Nothing to do here. Just move in and start living the dream. Whole uni has been tastefully painted. Great kitchen w/tile backsplash, SS appliances, lovely plantation shutters, full pantry, and the wall has been opened. Lovely 18 diagonal ceramic tile flooring throughout the living area Large living-dining area that leads out to the bright lanai, Extra large master bedroom with two walk in closets and nice sitting area. The master bathroom has been totally remodeled. Guest bedroom is large and bright. New tile flooring. Guest bathroom has been completely remodeled. Sit on the lanai while enjoying the beautiful morning sunrise. Live in Huntington Lakes and take part in all the great activities, clubs, and social activities.